I have no idea why I watched The Godfather: Part III last night. Even though I own the trilogy and have seen the first two movies countless times (it is required viewing in my household), I always avoided watching the final installment. Probably because I was worried it would ruin the entire trilogy. The Godfather: Part III was as exactly as I expected. Mostly terrible. The plot isn’t engaging and truly horrendous performances overwhelm the film’s few good moments. These are some of my stray observations about The Godfather: Part III. 1. Surprise! You have a nephew! 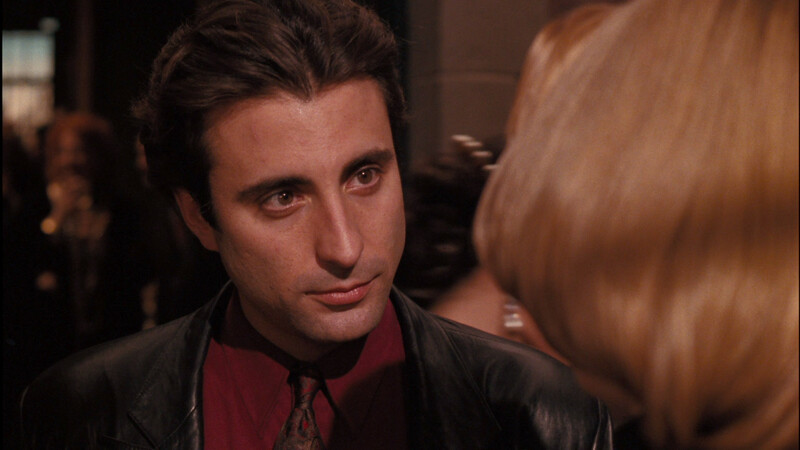 The appearance of Vincent Mancini (Andy Garcia) confused me at first. Who is he? Apparently Sonny’s illegitimate son who suddenly appeared to become Michael’s heir apparent. The character was created specifically for this movie to replace Robert Duvall. (RIP Tom Hagen. Sorry a contract dispute killed you off.) The film’s retroactive continuity definitely puts a damper on the third installment. 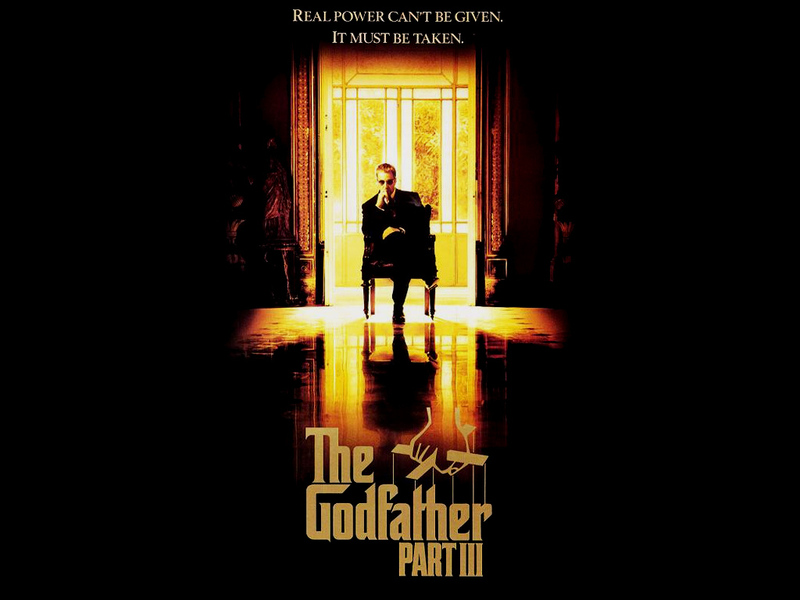 The Godfather: Part III could have been awesome had Tom Hagen and Michael Corleone been facing off (as intended) or even if Tom Hagen was present at all. Instead we are left with a character’s unexplained absence that only draws attention to the film’s worst and most convoluted plot points. 2. The Catholic Church is terrible. The Godfather‘s Abridged History of the Papacy makes this fact abundantly clear. 3. I still don’t care about Michael Corleone’s relationship with Kay Adams. I suppose this scene is intended to bring closure to the Michael-Kay relationship. But I never cared for Michael and Kay as a couple. While the scenes Pacino and Diane Keaton were fine in the first movie, they didn’t gel in this movie. Another pointless observation: Diane Keaton frequently looked like the love child of Andy Warhol and Katharine Hepburn. Was I the only person who thought this? In another life, Connie was Madame Jeunet from Boardwalk Empire. Connie is one of her brother’s most trusted confidantes and she’s the only woman in his life who doesn’t end up dead or leaving him. 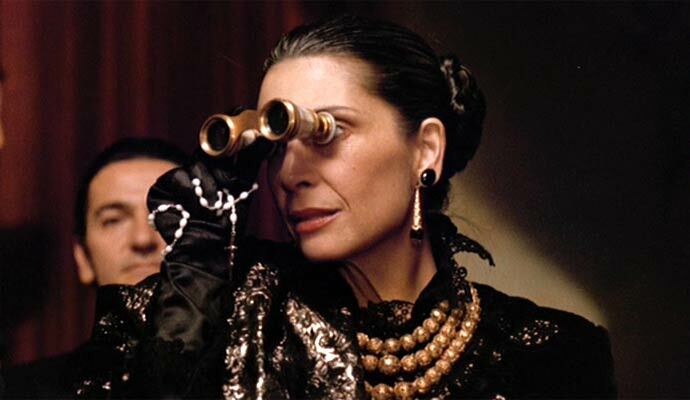 Talia Shire is one of the few good parts about The Godfather: Part III. 5. When Italians copulate, pasta is always involved. Let’s momentarily forget that Vincent Mancini and Mary Corleone are first cousins. Let’s also ignore that the Corleones only oppose the relationship because Vincent would bring Mary down and not because of they are first cousins. This relationship is just really awkward. Since Italians can only experience sexual intimacy when pasta is involved, Vincent and Mary must make gnocchi before they make whoopee. It’s cringeworthy. Especially for me. Gnocchi is my absolute favorite dish but now I can never eat gnocchi again. So thanks a lot, Francis Ford Coppola. The next time I am awkwardly standing five feet away from you at a film festival, I’m going to bring this up. Spoiler alert: You kill her. 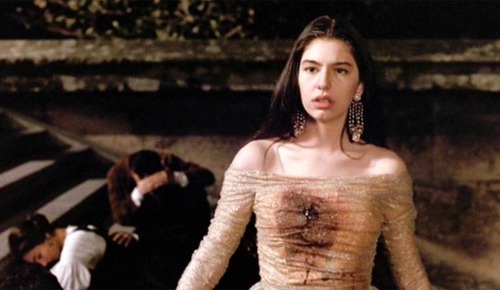 Yes, Sofia Coppola’s performance is one of the worst parts about The Godfather: Part III. This is well-established. But if you don’t focus on Sofia Coppola’s “acting” or facial expressions (I suggest strategic napping during her scenes) you’ll realize that Mary Corleone isn’t an awful character. She’s symbolic of Michael Corleone’s inability to protect any of the women who are close to him. Did I miss any crucial insights about The Godfather: Part III? Sound off below. Weirder that the dad would film an incestuous love scene starring his daughter. But… imagine if that were Tom Hagen making that pasta with her? Just a correction. Robert Duvall character Tom Hagen didn´t appear because of the money… but the replaced him with GEORGE HAMILTON!!! Sorry, but your first observation isn´t correct. I wish Tom Hagen was in this movie! I thought it was good but it had all of the potential to be masterpieces like the first one. 1) Paramount’s greed. How dare they push writer’s Copollo and Puzo to make a script in six weeks instead of the six months they asked for! 2) Copollo’s foolishness not to cast Tom Hagen. 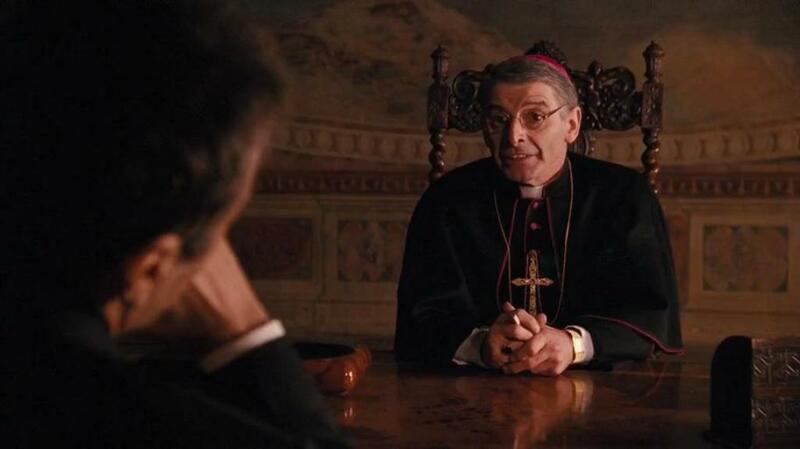 It worked in Godfather 2 to take Clemenza out and replace him with Frankie Five Angels. It was a risk but it worked out well. Still it would have been cool to see Clemenza in that role. 3) I know this might sound controversial but Robert Duvall, did you not realize how cool you were in the first two films? I mean seriously, is one million not enough? I wish actors sometimes just played their roles. I’m just asking as a fan! I’m also looking at your Clemenza actor. Its an awesome movie. Those who critics didnt really understand deeply. this movie is totally fine. Enjoy watching it. this movie is about michael and his try to find redemption for killing or somehow destroying family to preserve family…he is old and sick and looking for forgiveness. all families rise and fall without new lifeblood…the opera of our family dramas go on through the ages. mary and her first cousin show that the family is too inbred and doesnt yet know its destructive existence. michael has a clue though and doesnt want his daughter to suffer like his wife has suffered……for marrying a man like he was. michael doesnt escape his sins…theyre visited on the child..
this is a deep and beautiful movie and for mature persons. and struggling to get what she needs ..and she weeps when rejected with total credibility..
watch the movie again…it is like a greek drama or an opera…it is huge with the anguish of life as too strong for people who want to control it..